Good news Raider nation: you will get to see Terrelle Pryor with the first team offense against the Seattle Seahawks. Infact QB Matt Flynn will not play at all and will sit the week out nursing a injury. Dennis Allen did say his decision to sit Flynn had nothing to do with his performace or the newly open QB competition. Matt Flynn has been the Raiders starting QB since he was signed by Reggie McKenzie and for Flynn, it was his job to lose. In all seriousness, all Matt Flynn had to do was come out and just perform average football and the job was his. Well seven sacks later and a awful showing against Chicago which included 2 poorly thrown picks, the door has now been open for fan favorite Terrelle Pryor who is planing to take advantage of the opportunity. 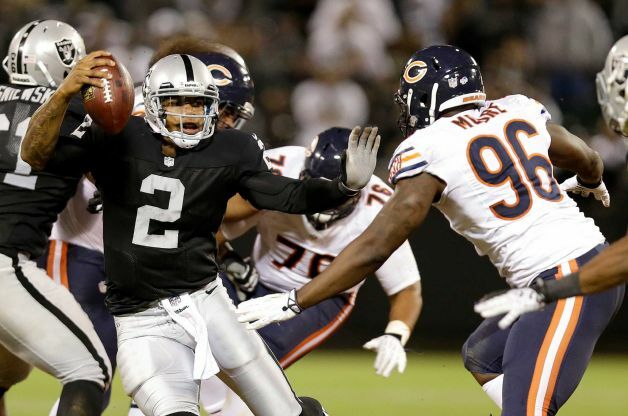 Pryor came into the game against Chicago down 27-0 and led the Raiders to 20 unanswered points. Pryor was 7 of 9 for 93 yards with one touchdown passing and running. 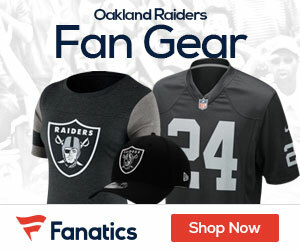 It looks to me that Pryor has the momentum in his hand right now to win the starting job and with a strong showing in Seattle, he will be the Raiders starting QB come week 1. In related news, rookie Raiders tackle Menelik Watson has been named the Raiders staring left tackle and will also start against Seattle. Watson will take over for Alex Barron who has been playing some of the worst football possible taking over for injured tackle Jared Veldheer. It is not surprising to many that Josh Cribbs has been cut by Oakland. Cribbs was brought in to be a Special Teams star and was a bust. What do you think? Are you surprised that Cribbs has been released? What do you feel about Pryor and Watson Thursday night in Seattle?